This week is dedicated to educating everyone about the benefits of completing regular physical activity. It is a great way to celebrate and embrace exercise as a form of full body therapy and reflect on your own health and fitness journey. Exercise Right week is also the perfect time to begin your very own health and fitness journey. My best advice for this is to see your local Exercise Physiologist for an assessment (or have a chat with your GP for further advice). 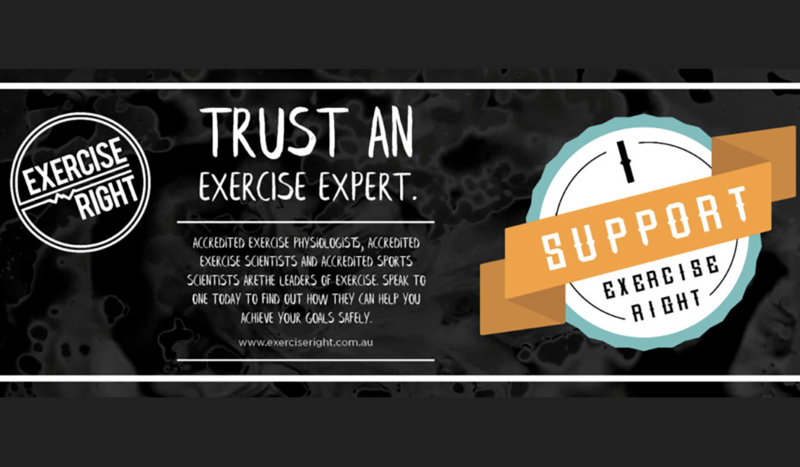 Click here to take the Exercise Right quiz to get a better understanding of your specific individual exercise needs. To help you Exercise Right this quiz has been developed as a pre-screening tool and is filled with educational advice. How can Bellarine Sports Medicine (BSMC) Help? Setting specific realistic and achievable goals. Delivery of a safe and individualised exercise program for your home or to be completed in our complimentary rehabilitation gym. Happy Exercise Right week and good luck in being more active, happy and healthy.